No other gemstone has the range of rare and unique colors as tourmaline. 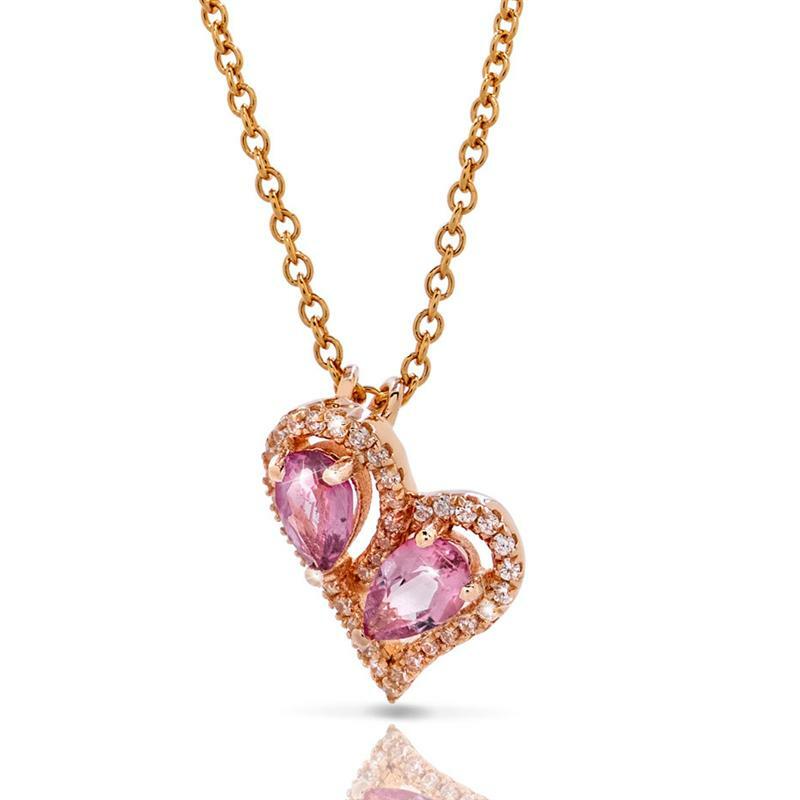 And, while the ‘chameleon’ gem comes in a wealth of colors, pink is the most sought after because it’s the purest pink in the gemstone world. 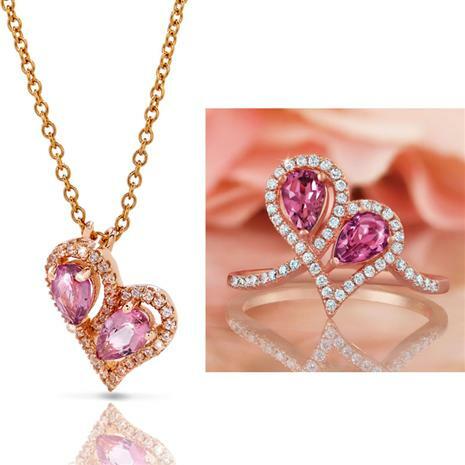 For a gem colored in such rosy perfection it rivals the hue of the most precious pink diamond. Valuable in its own right, tourmaline varieties are among the rarest and most expensive gemstones in the world. According to Gemstone Advisor, “High quality paraiba tourmaline will sell for around $22,000 per carat.” Here, two teardrops of pink tourmaline are joined in a heart motif framed in DiamondAura® stones to celebrate all the intrigue and excitement of your partnership. 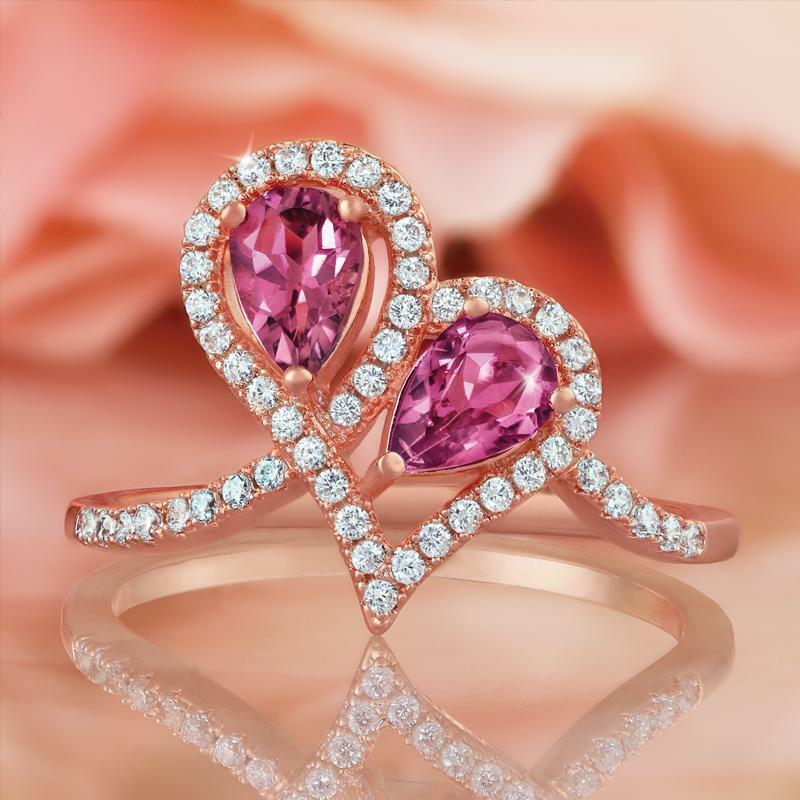 Surprise her with the Pink Tourmaline Heart to Heart Ring. We assure you, how much you love her will be no mystery.